Federal mail fraud charges are very common federal charges and are typically associated with other federal charges brought against a defendant. They carry hefty fines and the potential for prison time, which is why anyone charged with a federal mail fraud offense should seek the services of a seasoned mail fraud attorney as soon as they find out they have been charged or are under investigation. The Law Offices of Brandon Sample has represented many clients who have been charged with federal mail fraud offenses and is prepared to provide competent representation throughout all stages of the federal criminal process. Fraud incorporates any scheme to take money or property of value from any person using deception. It also includes the sale or distribution of counterfeit items. What makes a fraud scheme eligible to be charged as a mail fraud crime is that it involves the U.S. Postal Service at some point within the scheme to send something that is a part of the fraud. Federal jurisdiction is implicated by the U.S. Postal Service being a federal agency, and it would be used to send something associated with the fraud scheme across state lines. The crime of mail fraud is addressed by 18 U.S.C. 1341. The law is fairly broad in the range of activities that could be considered mail fraud. It does not require that the material associated with the fraud scheme actually be delivered to the intended recipient. 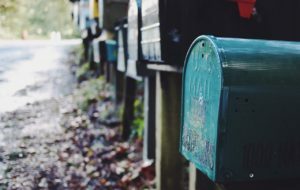 The simple act of knowingly placing an item in the mail to be used in connection with the scheme is sufficient to trigger a charge under the 18 U.S.C. 1341 statute. When the government investigates and prosecutes a fraud scheme, the mail fraud charges that may come down against the defendant are typically one of the add-on charges as part of a broader range of charges. What make these charges so attractive for federal prosecutors to pursue is that the law does not require that the fraud actually be carried all the way out. It is also an avenue through which the federal government can usurp jurisdiction away from state courts because fraud schemes that are typically only prosecuted under state law can invoke federal jurisdiction by virtue of the materials being sent by the U.S. Postal Service or across state lines. The federal wire fraud laws work in conjunction with mail fraud law to cover such a large scope of criminal activities that the charges are usually both brought against a defendant. The only difference is that the federal wire fraud law requires that the fraudulent scheme be pursued using wire communications instead of the mail. How Much Prison Time and Fines are Possible? The base level offenses associated with a mail fraud charge carry a maximum penalty of up to 20 years in prison as well as fines. If the scheme involves a financial institution or property associated with a federal disaster event, the penalties upon conviction are enhanced up to 30 years in prison and up to $1 million in fines. In addition to potential prison sentences and large fines, a defendant convicted of federal mail fraud will likely be required to pay restitution to the victims damaged as a result of the scheme. Upon a defendant’s release from prison as a result of a mail fraud conviction, he may still be required to serve a period of supervised release for a period of time. In almost all federal mail fraud convictions, the defendant is required to forfeit all property gained as a result of the fraudulent scheme. This means that a defendant will need to be aggressive in defending himself during all aspects of the criminal prosecution to preserve his ability to make a living and pay his expenses as the fines and penalties have the potential to really add up. This is why it is so important to hire a mail fraud attorney as early as possible. Competent counsel can shield you from as much criminal and civil liability as possible. Financial crimes are so frequently in national headlines that there is significant pressure from the public for the government to aggressively prosecute these crimes. Federal prosecutors are itching to generate what they believe to be positive publicity by taking a tough stance on mail fraud crimes. This means that the government may be overly aggressive in charging individuals, especially if there are large sums of money involved. Do not delay in lining up an effective defense if you are facing these daunting federal charges. Contact the Law Offices of Brandon Sample at 802-444-HELP (4357) to speak with mail fraud attorney Brandon Sample. You can also compete our free attorney consultation form to discuss your case.